Draft: 2011, Oakland Athletics, 1st rd. In 2015 was an American League All-Star, but did not pitch in the AL's 6-3 win at Great American Ball Park, and finished third in the Baseball Writers' Association of America's Cy Young Award voting...in 2014 was American League Pitcher of the Month for April and July and AL Co-Player of the Week for 9/22-9/28...made 4 Opening Day rosters, 3 with the Athletics (2014-2016) and last year with the Yankees...opened the 2017 season on Oak's disabled list...made 2 Opening Day starts, both for the Athletics in 2014 (ND, 2-0 loss vs Cle) and 2015 (8-0 win vs Tex)...in those starts combined to throw 14.0 shutout innings (6h, 4bb, 10K)...is 1 of only 2 active pitchers to have made at least 2 Opening Day starts without allowing a run (Jake Arrieta)...in 4 Postseason apps, all starts, went 0-2 despite a 2.95 ERA (21.1ip, 14h, 12bb, 18k, 2hr)...in the 1-0 win in Game 2 of the 2013 American League Division Series vs the Tigers received no decision but combined with Grant Balfour on a 4-hitter (8ip, 4h, 2bb, 9k)...became only the third rookie in Major League history to record at least 9 strikeouts in a scoreless Postseason start, joining Bal's Mike Boddicker (14k, 1983 ALCS Game 3) and NYY's Dave Righetti (10k, 1981 ALDS Game 2)...in his Major League career threw at least 6.0 innings in 99 of 146 starts (68%)...since 2014 has recorded 96 putouts, third-most of any pitcher in the Major Leagues in that span (Zack Greinke 120, Mike Leake 106)...in 2013 was the Athletics' Minor League Pitcher of the Year and a Baseball America Class AAA All-Star...according to Baseball America's annual poll, had the best breaking ball and best control in the Pacific Coast League...also in 2013 was a Pacific Coast League All-Star but was promoted and did not pitch in the Triple-A All-Star Game...pitched at Vanderbilt University when current Reds' pitching coach Derek Johnson was working for the Commodores...in 2011 led Vanderbilt to its first NCAA College World Series berth after finishing 12-4, 2.43. Attended Smyrna (TN) High School...pitched 3 seasons at Vanderbilt University...finished his Commodores career ranked second all-time in wins (27) and fourth in strikeouts (317)...in 2011 led Vanderbilt to its first NCAA College World Series berth after finishing 12-4, 2.43...in 2010 and 2011 was second team All-SEC...in 2009 was a Louisville Slugger Freshman All-American...in 2009 and 2010 pitched for Team USA...in 2010 was Baseball America's Summer Player of the Year. With 11 victories ranked third on the Yankees' staff (Luis Severino 19, Masahiro Tanaka 12)...went 9-9, 5.26 in 23 starts and 2-0, 2.60 in 7 relief apps...went 4-4, 6.98 in 11 starts and 4 relief apps at Yankee Stadium and 7-5, 3.17 in 12 starts and 3 relief apps on the road...began the season in the rotation and went 8-8, 5.56 in 21 starts through 8/1...made 7 of his last 9 apps out of the bullpen...on 8/7 at WSox, in his first relief appearance since 7/19/13 at LAA, threw 3.0 scoreless innings to earn the 13-inning, 4-3 win...in an 11-7 Yankees loss on 9/2 vs Det threw 4.0 innings in the longest relief appearance of his career...on 1/21/19 was traded to the Reds, along with minor league LHP Reiver Sanmartin (REEVER san-mar-TEEN), in exchange for IF Shed Long and Cin's 2019 Competitive Balance A draft pick. Split the season between Oakland (16GS) and the Yankees (11GS), going 10-12 with a 3.55 ERA (162.1IP, 139H, 79R/64ER, 57BB, 153K, 19HR) in 27 starts…opponents hit .226 (139-for-615); LH .221 (62-for-281), RH .231 (77-for-334)... had 2.8 WAR and a 3.90 FIP (FanGraphs)…began the year on the 10-day D.L. with a right shoulder strain, snapping a streak of three consecutive Opening Day rosters (2014-16)... Ranked 10th in the AL in ERA... was sixth in opponents' BA (.226), and seventh in opponents' OBP (.294) and opponents' slugging pct. (.374)... tied for fourth in the Majors with 15 unearned runs allowed; had permitted a total of 14 unearned runs in 53 starts over the 2015-16 seasons... Was 3-7 with a 3.11 ERA (72.1IP, 25ER) in 12 road starts, the seventh-lowest road ERA in the AL (min. 70.0IP on road)... allowed 2ER-or-fewer in 10-of-12 starts... permitted 2ER-or-fewer in each of his ﬁnal nine road turns (beginning 6/10), the longest such streak in the AL in 2017, and the longest single-season streak in the AL since Chris Archer's 10-start streak from 5/16-8/24/14... Held left-handed batters to a .221/.293/.352 line…was the seventh-lowest opp. BA by a right-handed pitcher in the Majors (min. 300PA by LHB)... Was acquired by the Yankees along with international signing bonus pool money from Oakland in exchange for OF Dustin Fowler, RHP James Kaprielian and INF/OF Jorge Mateo on 7/31... Made 11 starts for the Yankees, going 4-7 with a 3.72 ERA (65.1IP, 55H, 31R/27ER, 27BB, 59K, 11HR)…was 2-3 with a 5.65 ERA (28.2IP, 18ER) and 8HR in ﬁve starts at Yankee Stadium... earned wins in his ﬁrst two home starts as a Yankee... Began the season with the Athletics and went 6-5 with a 3.43 ERA (97.0IP, 84H, 48R/37ER, 30BB, 94K, 8HR) in 16 starts... went 4-2 with a 1.37 ERA (39.1IP, 23H, 11R/6ER, 9BB, 36K, 2HR) over his ﬁnal six starts... Completed 6.0IP in 19-of-27 starts and allowed 2ER-or-fewer in 18-of-27... Allowed 2ER-or-fewer in a career-best 11 consecutive starts from 6/25-8/26, the longest such streak in the Majors in 2017 and the longest single-season streak in the AL since Tampa Bay's Alex Cobb (12GS from 7/9-9/11/14)…tossed at least 6.0IP with 2ER-or-fewer in a career-best nine straight starts from 6/25-8/15, the longest such streak in the AL and second-longest in the Majors in 2017 (Philadelphia's Aaron Nola, 10GS from 6/22-8/12)... was the longest single-season streak by an AL hurler since Toronto's Mark Buehrle did it in nine straight starts from 6/3-7/21/15…was the second-longest QS streak of his career (10QS from 3/31-5/22/14)... Went 8-9 with a 2.84 ERA (104.2IP, 78H, 42R/33ER, 36BB, 95K, 13HR) over his final 17 starts, the Majors' seventh-lowest ERA from 6/25 through the end of the season... allowed 2ER-or-fewer in 14-of-17 turns over the stretch... opponents hit .201/.272/.353 (78-for-388)... Gave up 11HR in 65.1IP as a Yankee (1.52 HR/9.0IP) after permitting just 8HR in 97.0IP with Oakland (0.74 HR/9.0IP)... Opponents batted .139 (19-for-137) with 72K and 2BB in plate appearances ending with a slider (Brooks Baseball)... Received one-or-zero runs of support in six of his seven losses with the Yankees (9RS total)... in the seven losses he started, Yankees batters hit a combined .155 (34-for-220) with a total of 14R... Took a decision in each of his final 18 starts (beginning 6/20), tied for the second-longest streak in the Majors in 2017 (Mets' Jacob deGrom-20, Detroit's Michael Fulmer-18)... Was placed on the 10-day D.L. from 3/30-5/1 with a right shoulder strain and missed the A's' ﬁrst 25 games of the season…tossed 11.0 scoreless innings over two rehab assignments, the ﬁrst with Single-A Stockton on 4/22 vs. San Jose (W, 5.0IP, 1H, 0R, 0BB, 6K) and the second with Triple-A Nashville on 4/27 vs. New Orleans (W, 6.0IP, 2H, 0R, 0BB, 7K)... Made his season debut in 5/2 loss at Minnesota (6.0IP, 4ER)... Recorded his third and fourth career double-digit-strikeout performances on 5/24 vs. Miami (11K) and 6/10 at Tampa Bay (10K)... Took the loss in his Yankees debut on 8/3 at Cleveland (6.0IP, 4R/2ER)... earned his ﬁrst win as a Yankee in his home Yankees debut on 8/15 vs. the Mets (6.0IP, 2ER)... Tossed his sixth career complete game in 9/12 loss against Tampa Bay at Citi Field (8.0IP, 2ER)... Started once in each of the Yankees' two postseason series, going 0-1 with a 4.32 ERA (8.1IP, 4H, 5R/4ER, 6BB, 6K, 1HR)... took the loss in ALDS Game 1 at Cleveland, lasting 3.1IP (3H, 3ER, 4BB, 2K, 1HR)…allowed just 1H over 5.0IP (2R/1ER, 2BB, 4K) in a no-decision in ALCS Game 4 vs. Houston…was the sixth Yankees pitcher (seventh time) to permit one-or-zero hits in a postseason start of at least 5.0IP, the ﬁrst since Roger Clemens (5.0IP, 1H, 0R) in 2001 ALCS Game 4 vs. Seattle... Made two spring training starts with Oakland, posting no record and a 15.75 ERA (4.0IP, 7ER). 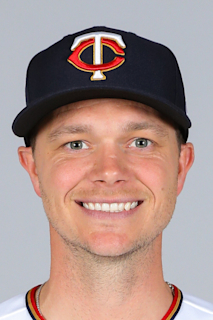 Went 5-11 with a 5.69 ERA in 22 starts in a season shortened by two stints on the disabled list…his ERA was more than 2½ runs higher than his previous career high of 3.08 in 2014…his five wins follow back-to-back 14-win seasons…also had career highs in losses (11), home runs (18), extra base hits (50), opponents batting average (.286), on-base percentage (.343) and slugging percentage (.475) and matched his high in wild pitches (15)…his average of 7.23 strikeouts per nine innings was a career low and his 3.23 walks per nine innings were a career high…had the second lowest winning percentage in the American League (.313) and the second most wild pitches…the wild pitches tied for sixth most in Oakland history and matched the most by an Athletic over the last 24 years…the winning percentage tied for 10th lowest in Oakland history…among pitchers with 100 or more innings pitched, he had the fourth highest ERA in the AL and the highest by an A's pitcher since 2000 (Olivares, 6.75)…his opponents batting average included a mark of .286 (66-for-231) against right-handed hitters and .286 (67-for-234) against left-handers…surrendered 12 of his 18 home runs to righties…11 of the home runs were solo shots…the eight and nine hitters in the order batted a combined .467 with seven home runs and 21 RBI…however, held the five hitter to a .176 average, no home runs and four RBI…based on a minimum of 100 innings pitched, his .468 average against the number eight hitter was the highest by a Major Leaguer since at least 1974…his .465 average against the nine hitter was third highest over that span and the highest since 1999 (Loaiza, TEX .500)…his mark against the five hitter tied for fourth lowest in the AL in 2016…using the 100 inning minimum, he had the fourth highest average with runners in scoring position in the AL (.330), tied for the fifth highest average when opponents put the first pitch in play (.467) and had the seventh highest average against batters leading off an inning (.321)…had a .233 opponents batting average the first time through the lineup, .318 after that…yielded six runs in an inning once, five runs three times and four runs twice…he allowed 58 of his 80 runs in the single biggest inning of his 22 starts (25.13 ERA)…had a 1.84 ERA in all other innings…went 2-3 with a 7.52 ERA in six starts after the All-Star Break after going 3-8 with a 5.16 ERA in 16 starts before the break…the eight losses were two more than his combined pre-break total from the previous two seasons (20-6, 2.42 ERA in 37 starts)…is now 23-14 with a 3.13 ERA (119 er in 342.0 ip) in 54 career appearances before the All-Star Break compared to 15-17 with a 3.79 ERA (112 er in 266.0 ip) in 44 games after the break…compiled a 2.05 ERA in the first inning, a 3.43 ERA in the second inning and a 7.42 ERA from the third inning on…went 2-8 with a 6.50 ERA in 12 starts on four days rest, 3-3 with a 4.73 ERA in 10 starts on five days rest or more…is now 19-20 with a 3.65 ERA (133 er in 328.0 ip) in 51 career starts on four days rest, 19-11 with a 3.20 ERA (98 er in 276.0 ip) in his other 45 starts…the A's were 7-15 (.318) in his starting assignments…tossed fewer than five innings in five of his starts…had just three such starts over the first three years of his career. Was named to his first American League All-Star Team…went 14-7 with a 2.73 ERA in 31 starts and ranked third in the AL in ERA…also ranked second in opponents slugging percentage (.316) and OPS (.590), third in opponents batting average (.217), fourth in opponents on-base percentage (.273), eighth in innings pitched (208.0) and tied for eighth in wins…the batting average and on-base percentage were seventh lowest in Oakland history and the OPS ranked eighth…finished third in AL Cy Young Award voting…led the A's in wins, starts, innings pitched, strikeouts (169), complete games (3) and walks (59)…was 10-3 with a 2.04 ERA, .198 opponents batting average and five home runs in 18 starts before the All-Star Break compared to 4-4 with a 3.74 ERA, .244 opponents batting average and 12 home runs in 13 starts after the break…it marked the second consecutive season he had 10 wins before the break and four after the break…is now 20-6 with a 2.40 ERA (67 er in 251.1 ip) in 38 career games before the break, 13-14 with a 3.38 ERA (90 er in 239.2 ip) in 38 games after the break…set an Athletics single season record for putouts by a pitcher with 37…broke the previous mark of 35 set by Chick Fraser in 1901…the putouts were the most by a pitcher since Kevin Brown had 41 for the Dodgers in 1999… did not commit an error in 60 chances, which were the most in the majors and second most in Oakland history (Langford, 62 in 1979) among pitchers with no errors…they were the most errorless chances by an AL pitcher since Josh Towers had 60 for Toronto in 2005…had the second most total chances among AL pitchers…also tied for first in the AL in shutouts (2), tied for third in complete games, ranked fourth in fewest pitches per inning (14.8), tied for fourth in wild pitches (13), tied for sixth in winning percentage (.667), seventh in home runs per nine innings (0.74), tied for eighth in opponents grounded into double plays (19) and tied for ninth in opponents reaching on an error (8)…his .217 opponents batting average included a mark of .208 (81-for-389) against left-handed hitters compared to .226 (85-for-376) against right-handers…it increased to .256 with runners in scoring position…opponents hit .146 with two strikes and .194 the first time through the lineup…held the number eight hitter in the batting order to a .139 batting average, which was the lowest in the AL and second lowest in the majors among pitchers that qualified for the ERA title…yielded a .326 average to the clean-up hitter, .203 against all other spots in the order…was 8-3 with a 2.63 ERA and five home runs in 16 starts on the road compared to 6-4 with a 2.82 ERA and 12 home runs in 15 starts at home…the road ERA was eighth lowest in Oakland history…it was second lowest over the last 34 years to his mark of 2.51 in 2014…is now 14-6 with a 2.57 ERA (59 er in 206.2 ip) in 31 starts on the road over the last two years compared to 14-11 with a 3.23 ERA (79 er in 220.1 ip) in 33 starts at home…was 5-2 with a 1.78 ERA in nine starts during the day compared to 9-5 with a 3.12 ERA in 22 starts at night…his day ERA ranked sixth lowest in Oakland history among pitchers with at least 50 day innings and is the lowest since Tim Hudson had a 1.39 ERA in 2003…went 8-3 against AL West competition, 6-4 against everyone else…is now 20-8 with a 2.46 ERA (68 er in 248.1 ip) in 37 career games against the West compared to 13-12 with a 3.30 ERA (89 er in 242.2 ip) in 39 games against all other teams…logged a 2-1 record and a 1.69 ERA in three interleague starts…ranked sixth in the majors in interleague ERA…was 12-1 in 20 starts with three runs of support or more compared to 2-6 in 11 starts with two runs or fewer…is now 29-2 in 43 career starts with run support of three or more…the A's bullpen blew a save in six of his starts. Spent the entire season in the starting rotation in his first full season with the A's and went 14-10 with a 3.08 ERA in 33 starts…tied for second in the American League in shutouts (2), ranked fifth in opponents batting average (.232) and slugging percentage (.327), tied for sixth in complete games (2), seventh in innings pitched (219.0), eighth in ERA, tied for eighth in games started and ninth in strikeouts (183)…led the A's in strikeouts, games started, innings pitched, losses, hits (187), runs (84) and walks (74) andtied for the lead in earned runs (75)…his 183 strikeouts were the 10th highest single season total in Oakland history…they were third most in Oakland history by a pitcher 24-years old or younger behind Vida Blue (301 strikeouts in 1971 at age 21) and Barry Zito (205 strikeouts in 2001 at age 23)…his219.0 innings pitched were third most by an Oakland pitcher 24-years old or younger since 1981 (Zito,229.1 in 2002 at age 24; Mulder 229.1 in 2001 at age 23)…they were the most by any A's pitcher since Joe Blanton tossed 230.0 innings in 2007…also ranked third in the AL in wild pitches (15), tied forthird in walks and tied for seventh in opponents grounded into double plays (21)…the wild pitches tied for sixth most in Oakland history…was 10-3 with a 2.79 ERA in 19 starts before the All-Star Break…ranked seventh in the AL in ERA and tied for seventh in wins at the break…then went 4-7 with a 3.47ERA in 14 starts after the break…tied for third in the AL in post-break losses…his .232 opponents batting average included a .221 (96-for-434) mark against left-handed hitters compared to .245 (91-for-371) against right-handers…allowed 10 of his 15 home runs to left-handers…13 were solo shots and 14 of his 19 career home runs have come with the bases empty…held the opponents clean-up hitterto a .169 batting average and .270 slugging percentage, both of which ranked second lowest in the ALamong qualiers for the ERA title…the batting average and slugging percentage were fourth lowest inOakland history…now has a .181 (21-for-116) batting average and .284 slugging percentage against the clean-up hitter in his career…yielded a .215 average to batters leading off an inning, which wasninth lowest in the AL…had the sixth lowest slugging percentage in that situation (.317)…has a .210 (56-for-267) career average against batters leading off an inning and a .292 slugging percentage…was6-3 with a 2.51 ERA and .212 opponents batting average in 15 starts on the road compared to 8-7 witha 3.60 ERA and .250 opponents average in 18 starts in Oakland…allowed just five home runs in 104.0innings on the road…had the third-lowest road opponents batting average in the AL and the fifth lowest ERA…his road ERA was fourth lowest in Oakland history and the lowest since Mike Torrez logged a 2.50 ERA in 1976…compiled a 3.45 ERA over the rst ve innings of the game compared to a 1.98ERA from the sixth inning on…now has a 3.45 career ERA (82 er in 213.2 ip) over the rst ve inningsof the game compared to 1.56 (12 er in 69.1 ip) from the sixth inning on…was 10-4 with a 2.64 ERA in16 starts against AL West competition compared to 4-6 with a 3.54 ERA in 17 starts against everyone else…is now 12-5 with a 2.31 ERA (38 er in 148.1 ip) in 22 career appearances against AL West teams compared to 7-8 with a 3.74 ERA (56 er in 134.2 ip) in 23 games against everyone else…received two runs of support or fewer in 16 of his 33 starts and was 1-10 in those games…was 13-0 with support of three runs or more…his career numbers are 2-12 with two runs or fewer, 17-1 with three or more…the A's were shut out 11 times in 2014, including five times in games he started…averaged 15.0 pitches perinning, which was seventh lowest in the AL…opponents had eight sacrice hits, which were the most inthe AL…ranked second among AL pitchers in assists (41) and total chances (62) and tied for fourth in putouts (18)…the total chances tied for ninth most in Oakland history by a pitcher…the A's were 18-15 (.545) in his starting assignments and are 24-19 (.558) when he starts in his career. Spent most of the season at Triple-A Sacramento where he was 10-7 with a 3.42 ERA in 20 starts…also had two stints with the A's…after making two relief appearances in his Major League debut in July, he returned to Oakland Aug. 10 and finished the season in the starting rotation…was 5-3 with a 2.67 ERA in 12 games, 10 starts, with the A's…also went 0-1 with a 2.08 ERA in two ALDS starts against Detroit…based upon a minimum of 60 innings pitched, he had the lowest opponents on-base percentage among American League rookies (.272), ranked second in opponents batting average (.214) and slugging percentage (.298) and third in ERA…struck out 67 batters in 64.0 innings and his average of 9.42 strikeouts per nine innings was second best (Allen, CLE 11.26) … allowed just four home runs,an average of 0.56 per nine innings…walked 20 for a strikeout to walk ratio of 3.35…yielded 20 of his 22 runs over the first three innings of a game … had a 5.10 ERA, .290 opponents batting average and four home runs allowed in innings one through three compared to a 0.53 ERA, .132 opponents average and no home runs from the fourth inning on…did not allow a run after the fifth inning (14.2 ip)…was 3-1 with a 1.99 ERA in six starts in Oakland compared to 2-2 with a 3.86 ERA in six games, four starts, on the road…his opponents batting average included a .198 (20-for-101) mark against right-handed hitters compared to .226 (31-for-137) against left-handers … issued 15 of his 20 walks to lefties…allowed a .194 opponents batting average to hitters leading off an inning … surrendered one double (.210 slugging percentage) and issued just four walks (.242 on-base percentage) … compiled a 5-3 record and a 2.85 ERA in his nine starts … did not allow a run in his two relief appearances (4.0 ip)…did not inherit a runner and retired both of his first batters faced in relief…was 2-1 with a 1.72 ERA in seven games at night compared to 3-2 with a 3.95 ERA in five starts during the day…had a 2-1 record and a 1.25 ERA in six games against AL West teams compared to 3-2 with a 4.50 ERA in six games against everyone else…was 3-1 with a 1.57 ERA in five starts on five days rest or more, 2-2 with a 4.02 ERA in five starts on four days rest…averaged 7.50 runs of support in his 10 starts…the A's were 6-4 (.600) in his starting assignments…tossed at least six innings in six of his 10 starts, allowed two runs or fewer six times and walked two batters or fewer seven times. OAKLAND: Was selected from Sacramento July 10 and made his Major League debut that day at Pittsburgh…entered the game in the fifth inning and tossed 2.0 scoreless innings…struck out the first batter he faced, Clint Barmes…also tossed 2.0 shutout innings July 19 at Los Angeles (AL) … had allowed two hits and a walk in 4.0 scoreless innings while striking out six in two relief appearances when he was optioned to Sacramento July 19…returned to Oakland Aug. 10 and spent the remainder of the season in the starting rotation…made his first ML start Aug. 10 at Toronto and allowed four runs, two earned, in 6.0 innings for the loss in a 5-4 decision…walked a career-high three batters (also Sept. 11 at Minnesota and Sept. 29 at Seattle)…then picked up his first big league win in his second start when he combined with Dan Otero on a five-hit shutout in a 5-0 win over Houston Aug. 15…tossed 8.0 innings and allowed four hits while striking out a career-high nine on a career-high 118 pitches…is the fourth pitcher in Oakland history to toss at least 8.0 shutout innings in one of the first four games of his career…the other three all had complete game shutouts, most recently John Henry Johnson in his third game on April 23, 1978 against Seattle…allowed just two hits in 7.0 innings in a no decision against Seattle Aug. 20…it was his third consecutive start with four hits or fewer… joins A.J. Griffin (June 24-July 4, 2012) as the only Athletics pitchers since 1916 to toss six or more innings and allow four hits or fewer in each of their first three career starts…allowed a career-high six runs on a careerhigh eight hits in 3.1 innings in a 10-3 loss at Baltimore Aug. 25 … then went 4-1 with a 2.27 ERA and .230 opponents batting average over his final six starts … matched his career-high by tossing 8.0 innings Sept. 5 against Houston but allowed three runs and took the loss in a 3-2 decision …won each of his final three decisions beginning Sept. 11, the first time he put together consecutive wins in his career … finished September with a 3-1 record and a 2.79 ERA in five starts…started Game 2 of the ALDS against Detroit and combined with Grant Balfour on a four-hit shutout in the A's 1-0 win (8.0 ip, 4 h, 2 bb, 9 so)…according to the Elias Sports Bureau, he became the third rookie to strikeout at least nine without allowing a run in a postseason game (Dave Righetti, Game 2 of 1981 ALDS; Mike Boddicker, Game 2 of 1983 ALCS)…is the fourth pitcher with 10 or fewer career regular seasons starts that has not allowed a run in a postseason start (Duster Mails, Game 6 of 1920 World Series; Brandon Backe, Game 5 of 2004 NLCS; Matt Moore, Game 1 of 2011 ALDS) … also started Game 5 and allowed three runs on six hits and four walks in 5.0 innings for the loss in a 3-0 decision…had surgery for a fractured left thumb following the season…the surgery, an internal fixation with a screw to repair the thumb fracture, was performed by Dr. Thomas Graham at the Cleveland Clinic Hospital Oct. 18. SACRAMENTO: Won a career-high 10 games with the River Cats…also finished with a career-high 118 strikeouts…the wins tied for fifth in the Pacific Coast League and the strikeouts tied for seventh… was also fourth in ERA (3.42) and tied for fifth in complete games (1)…led the league in strikeouts per nine innings (8.97)…ranked fourth in the A's farm system in ERA, tied for fifth in wins and sixth in strikeouts…was named the A's organization Minor League Pitcher of the year and was also a Baseball America's Triple-A All-Star…surrendered just five home runs in 118.1 innings, an average of 0.38 per nine innings…four of the home runs came on the road and three were solo shots…allowed a .259 opponents batting average, including .244 (53-for-217) against left-handed hitters compared to .274 (64-for-234) against right-handers…issued 26 of his 39 walks to lefties…yielded a .223 batting average and .281 on-base percentage to batters leading off an inning…had a 4.74 ERA over the first three innings of a game, 1.54 from innings four through six and 6.23 from the seventh inning on…the River Cats were 12-8 (.600) in his starting assignments…tossed six or more innings in 15 of his 20 starts, allowed two runs or fewer 11 times and walked two batters or fewer 15 times…fired 6.0 shutout innings and allowed just two hits in his first start April 7 against Las Vegas but had a no decision in the River Cats 8-4 win…won back-to-back games April 25 against Salt Lake and May 1 at Fresno, one of two times he put together consecutive wins all year (July 4-24)…tossed a complete game four-hitter in the latter outing against the Grizzlies, a 4-1 win…walked two and struck out six…then faced just two batters in his next start May 6 against Las Vegas…walked each batter, both scored and he was charged with the loss…tossed a minor league season-high 109 pitches May 16 against Oklahoma City…struck out a seasonhigh 11 batters and did not issue a walk in 7.0 innings in a no decision against New Orleans May 21…allowed his first home run of the season in that game, snapping a season-opening eight-start, 47.2-inning homerless streak…logged a 2.38 ERA in seven starts in May but was just 3-3…struck out 46 batters in 41.2 innings…walked a season-high tying five batters June 6 at Tucson (also May 11 at Nashville) but picked up the win…that gave him a 6-4 record, a 2.69 ERA and a .245 opponents batting average over his first 12 starts … then went 4-3 with a 4.50 ERA and .280 opponents average over his final eight starts … was named to the Triple-A All-Star Game but did not pitch as he was promoted to Oakland July 10…was 8-6 with a 2.99 ERA and .249 opponents batting average in 17 starts at the time…was optioned back to Sacramento July 19 and went 2-1 with a 6.19 ERA and .318 opponents batting average over his final three starts…allowed a season-high seven runs on a season-high tying nine hits in just 4.2 innings in a loss in the second game of a doubleheader at Las Vegas July 29…was rated as having the best breaking ball and best control in the Pacific Coast League by Baseball America. Spent the entire season at Double-A Midland, with the exception of one start with Triple-A Sacramento in September...was 6-9 with a 4.14 ERA in 26 games, all starts, with the RockHounds...tied for the Texas League lead in shutouts (1), tied for second in complete games (1), ranked third in innings pitched (148.0) and tied for fourth in games started...also ranked second in wild pitches (16), tied for fourth in walks (57), seventh in hits allowed (148), tied for seventh in earned runs (68), tied for ninth in losses and 10th in runs (73)...led Midland in starts and innings pitched...had a no decision in his one regular season start with Sacramento, allowing four runs in 4.0 innings (9.00 ERA)...combined for a 4.26 ERA in 27 starts overall...tied for second in the A's farm system in complete games (1) and ranked third in innings pitched (152.0 ip)...surrendered just eight home runs in 152.0 innings (0.47 per nine innings)...allowed a .271 opponents batting average, including .250 (90-for-360) against right-handed hitters compared to .306 (68-for-222) against left-handers...had 31 walks and 34 strikeouts against lefties compared to 27 walks and 65 strikeouts against righties...his opponents average dropped slightly to .263 with runners in scoring position...was 2-6 with a 4.72 ERA in 14 starts before the TL All-Star Break...then went 4-3 with a 3.82 ERA in 13 starts after the break...compiled a 3.83 ERA over the first four innings of a game, 5.24 after that...allowed just two home runs in 69.0 innings at home with Midland...led TL pitchers in total chances (51) and errors (6)...had a .882 fielding percentage...his teams were 13-14 (.481) in his starting assignments...tossed six or more innings in 15 of his 27 starts, allowed two runs or fewer 13 times and walked two batters or fewer 16 times...was named the A's fifth best prospect by Baseball America following the season...was also tabbed as having the best curveball in the A's farm system by the magazine. The A's first round selection in the First-Year Player Draft signed July 25 and combined for a 1-1 recordand 0.82 ERA in six starts with the A's affiliate in the Arizona Rookie League and Double-A Midland...did not surrender a home run in 22.0 innings...allowed a .241 opponents batting average, including .206(7-for-34) against right-handed hitters compared to .267 (12-for-45) against left-handers...issued justone of his six walks to righties...opponents were 2-for-17 (.118) with runners in scoring position...madehis professional debut Aug. 7 at the Rangers; Arizona Rookie League affiliate, absorbing the loss in a6-3 decision...allowed a run on four hits in 2.0 innings and struck out two...was transferred to MidlandAug. 11 and went 1-0 with a 0.45 ERA in five starts...did not allow a run in his first four outings, givinghim a 19.1-inning scoreless streak from Aug. 7 to Sept. 5...made his Double-A debut with 2.2 scorelessinnings Aug. 12 against Tulsa and followed that with 3.2 innings at Tulsa Aug. 19...tossed 5.0 shutoutinnings and struck out a season-high six against Corpus Christi Aug. 26...recorded his first pro win Aug.31 at San Antonio (5.0 ip, 1 h, 1 bb, 3 so)...allowed his only run in his final start Sept. 5 at Frisco...tossed 3.2 innings and had season-highs in hits (5) and walks (3)...was rated as the A's third-best prospectby Baseball America following the season. January 21, 2019 New York Yankees traded RHP Sonny Gray and LHP Reiver Sanmartin to Cincinnati Reds for 2B Shed Long and Future Considerations. August 1, 2017 New York Yankees activated RHP Sonny Gray. July 31, 2017 Oakland Athletics traded Sonny Gray and Future Considerations to New York Yankees for CF Dustin Fowler, RHP James Kaprielian and SS Jorge Mateo. July 31, 2017 New York Yankees reassigned RHP Sonny Gray to the minor leagues. May 1, 2017 Oakland Athletics activated RHP Sonny Gray from the 10-day disabled list. April 26, 2017 Oakland Athletics sent RHP Sonny Gray on a rehab assignment to Nashville Sounds. April 22, 2017 Oakland Athletics sent RHP Sonny Gray on a rehab assignment to Stockton Ports. April 1, 2017 Oakland Athletics placed RHP Sonny Gray on the 10-day disabled list retroactive to March 30, 2017. Strained right shoulder. September 28, 2016 Oakland Athletics activated RHP Sonny Gray from the 15-day disabled list. August 7, 2016 Oakland Athletics placed RHP Sonny Gray on the 15-day disabled list. Strained right forearm. June 5, 2016 Oakland Athletics activated RHP Sonny Gray from the 15-day disabled list. May 22, 2016 Oakland Athletics placed RHP Sonny Gray on the 15-day disabled list retroactive to May 21, 2016. Strained right trapezius. October 2, 2014 Oakland Athletics activated RHP Sonny Gray. September 30, 2014 Oakland Athletics reassigned RHP Sonny Gray to the minor leagues. August 10, 2013 Oakland Athletics recalled RHP Sonny Gray from Sacramento River Cats. July 20, 2013 Oakland Athletics optioned Sonny Gray to Sacramento River Cats. July 10, 2013 Oakland Athletics selected the contract of Sonny Gray from Sacramento River Cats. January 9, 2013 Oakland Athletics invited non-roster RHP Sonny Gray to spring training. August 31, 2012 Sonny Gray assigned to Sacramento River Cats from Midland RockHounds. December 28, 2011 Oakland Athletics invited non-roster RHP Sonny Gray to spring training. August 12, 2011 Sonny Gray assigned to Midland RockHounds from AZL Athletics. July 25, 2011 Oakland Athletics signed RHP Sonny Gray.